Description Signposted bike route between ‘Woopi’ and Arrawarra via residential streets, footbridges, shared paths and bike lanes. Start/finish Corner of Beach & Wharf Streets, Woolgoolga. Highlights This route is a great way to enjoy some of the northern beaches scenic points and hidden corners. 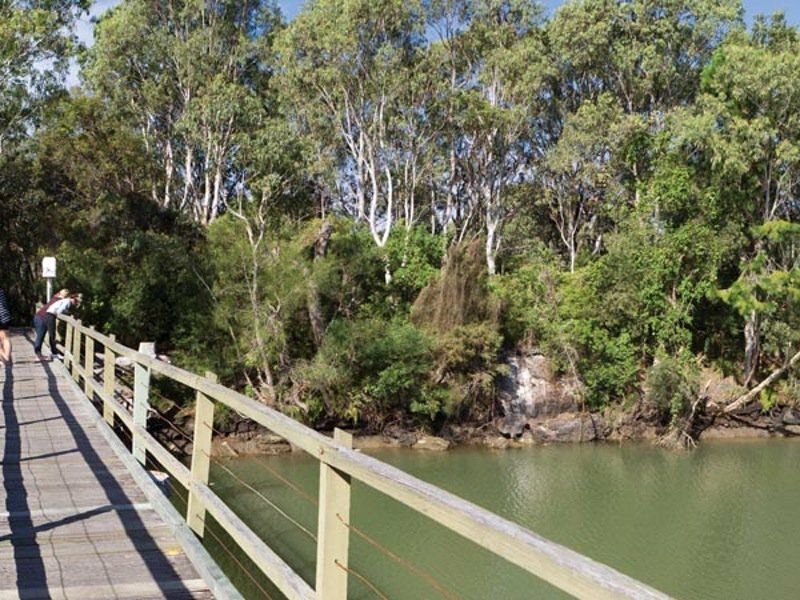 Head down Wharf Street, and follow the ‘Arrawarra Cycleway’ signs as you weave your way through Woolgoolga, Safety Beach and Mullaway. Caution required on streets in Safety Beach and Mullaway. Some cycle lanes are only on one side of the road, and the shared path on Arrawarra Road crosses many driveways. Some cyclists may prefer to ride on-road with the flow of traffic. Detours are shown on the map for scenic beach, lake and headland views.